Camp 2014: Getting ready for bed! 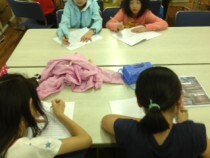 Students are now taking baths or doing journal writing. Around 9:30 all students will go to their tents and sleep!